Below you fill find all funeral homes and cemeteries in or near Philadelphia. Popular neighborhoods in Philadelphia include: Avenue of the Arts, Callowhill, Chinatown, Fitler Square, Philadelphia, Franklintown, Logan Square, Market East, Old City, Museum District, Penn Center, Rittenhouse Square, Society Hill, South Street, Washington Square West, Bella Vista, Central South Philadelphia, East Passyunk Crossing, Franklin Delano Roosevelt Park, Girard Estate, and Grays Ferry. The Louise E. & William W. Savin Funeral Home prides itself on specialized, thorough, attentive and quality service for over 75 years. We are a family owned business you can trust. Suburbs of Philadelphia: m Zip Concept (Brm), Firm Zip Concept (Courtesy), I R S Service Center, 30th Street Train Station, A A R P Ins, Cigna Corporation, Citibank Delaware, Classification & Rates Admin, Colonial Penn (BRM), Colonial Penn Group, Commerce Bank, Eastwick, Ford Motor Credit Corp, Franklin Mint, Hosiery Corp Of America, Lawncrest, Lawndale, Lester, Lynnewood Gardens, Manayunk, Mellon Bank East, Mid City East, Mid City West, Middle City East, Middle City West, National Passport Agency, Oak Lane, Overbrook Hills, Overbrook Hls, Passyunk, Penn Ctr, Penn Mutual Ins Co, Philadelphia NDC, Pnc Bank, Rhawnhurst, Selective Service System, Springfield, Sunmark Industries, Torresdale South, USPS Eastern Region Hdqtrs, Verizon, Veterans Administration, William Penn Annex East, William Penn Annex West, Wm Penn Anx E, Wm Penn Anx W.
Philadelphia is also known as: City of Brotherly Love, Philly, and Philadelphia County / Philadelphia city. Their current mayor is Mayor Michael Nutter. Zip codes in the city: 19019, 19092, 19093, 19099, 19101, 19102, 19103, 19104, 19105, 19106, 19107, 19108, 19109, 19110, 19111, 19112, 19113, 19114, 19115, 19116, 19118, 19119, 19120, 19121, 19122, 19123, 19124, 19125, 19126, 19127, 19128, 19129, 19130, 19131, 19132, 19133, 19134, 19135, 19136, 19137, 19138, 19139, 19140, 19141, 19142, 19143, 19144, 19145, 19146, 19147, 19148, 19149, 19150, 19151, 19152, 19153, 19154, 19155, 19160, 19161, 19162, 19170, 19171, 19172, 19173, 19175, 19176, 19177, 19178, 19179, 19181, 19182, 19183, 19184, 19185, 19187, 19188, 19190, 19191, 19192, 19193, 19194, 19195, 19196, 19197, 19244, 19255. Philadelphia County funeral flowers can be purchased from one of the local funeral shops we partner with. There are currently 232 funeral options for this city. 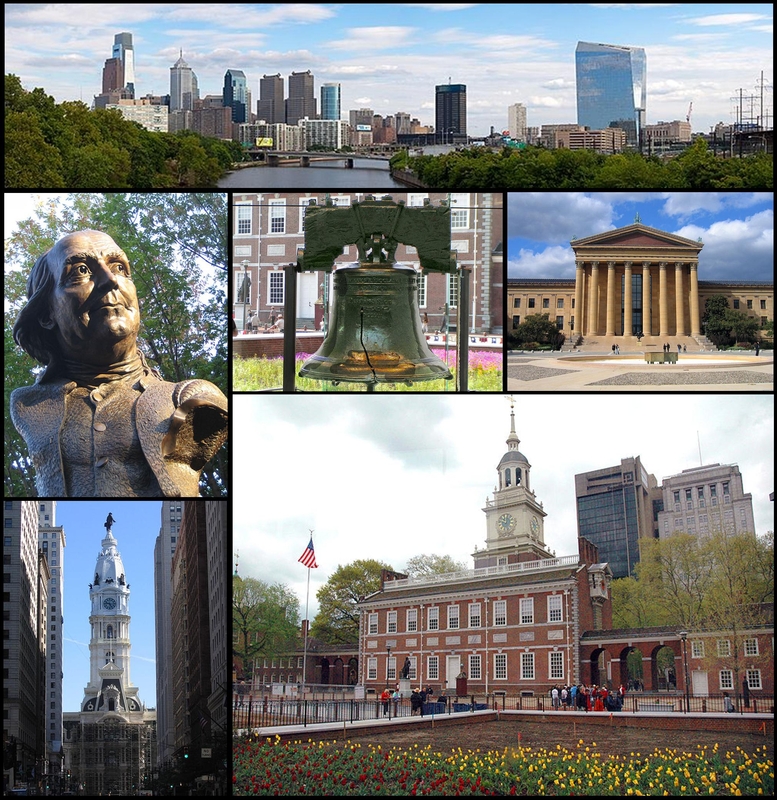 Philadelphia has been featured in films like: Unbreakable (2000), The Sixth Sense (1999), National Treasure (2004), and The Italian Job (2003). Some of the notable people born here have been: Kevin Bacon (musician and actor), Jon Udell (programmer), Jon Fishman (drummer and film score composer), Jon Drummond (coach), Kobe Bryant (basketball player and athlete), , , Christopher Ferguson (astronaut), and Andrew M. Allen (astronaut). Philadelphia is home to the following sports teams: Philadelphia Phillies, Philadelphia Eagles, and Philadelphia 76ers. Philadelphia (/ˌfɪləˈdɛlfiə/) is the largest city in the U.S. state of Pennsylvania and the fifth-most-populous in the United States. 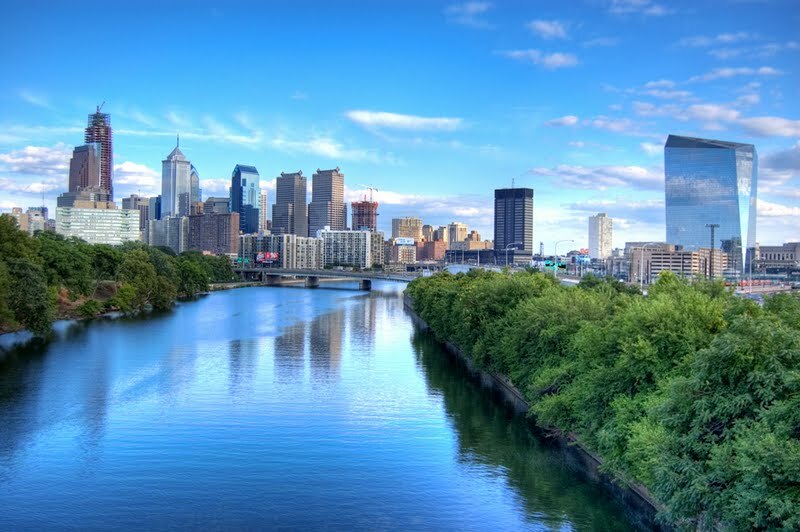 In the Northeastern United States, at the confluence of the Delaware and Schuylkill River, Philadelphia is the economic and cultural center of the Delaware Valley. The estimated population in 2014 was 1,560,297.In 1682, William Penn founded the city to serve as capital of the Pennsylvania Colony. Philadelphia played an instrumental role in the American Revolution as a meeting place for the Founding Fathers of the United States, who signed the Declaration of Independence in 1776 and the Constitution in 1787. Philadelphia was one of the nation's capitals in the Revolutionary War, and served as temporary U.S. capital while Washington, D.C., was under construction. In the 19th century, Philadelphia became a major industrial center and railroad hub that grew from an influx of European immigrants. It became a prime destination for African-Americans in the Great Migration and surpassed two million occupants by 1950. Based on the similar shifts underway the nation's economy after 1960, Philadelphia experienced a loss of manufacturing companies and/or jobs to lower taxed regions of the USA and often overseas. As a result, the economic base of Philadelphia, which had historically been manufacturing, declined significantly. In addition, consolidation in several American industries (retailing, financial services and health care in particular) reduced the number of companies headquartered in Philadelphia. The economic impact of these changes would, similar to Detroit and Baltimore, reduce Philadelphia's tax base and the resources of local government. Philadelphia struggled through a long period of adjustment to these economic changes, coupled with significant demographic change as wealthier residents moved into the nearby suburbs and more immigrants moved into the city. The city in fact approached bankruptcy in the late 1980s. Revitalization began in the 1990s, with gentrification turning around many neighborhoods and reversing its decades-long trend of population loss.Philadelphia is the center of economic activity in Pennsylvania and is home to seven Fortune 1000 companies. The Philadelphia skyline is growing, with several nationally prominent skyscrapers. The city is known for its arts, culture, and history, attracting over 39 million domestic tourists in 2013. Philadelphia has more outdoor sculptures and murals than any other American city, and Fairmount Park is the largest landscaped urban park in the world. The 67 National Historic Landmarks in the city helped account for the $10 billion generated by tourism. Philadelphia is the birthplace of the United States Marine Corps, and is also the home of many U.S. firsts, including the first library (1731), first hospital (1751) and medical school (1765), first Capitol (1777), first stock exchange (1790), first zoo (1874), and first business school (1881). It was reported by The Desert Sun on March 29th, 2019 that Morton "Morty" Godlas passed on in California. Godlas was 95 years old and was born in Philadelphia, PA. Send flowers to express your sorrow and honor Morton "Morty"'s life. It was written on March 28th, 2019 that Anne Marie Sister "Sister John Bosco" Striegl passed on in Philadelphia, Pennsylvania. Striegl was 84 years old and was born in Buffalo, NY. Send flowers to express your sorrow and honor Anne Marie Sister "Sister John Bosco"'s life. It was written by San Diego Union-Tribune on March 27th, 2019 that Anna Marie Harold passed away in Lakeside, California. Harold was 80 years old and was born in Philadelphia, PA. Send flowers to express your sympathy and honor Anna Marie's life. It was reported on March 26th, 2019 that Guy Tom Sottile died in Niagara Falls, New York. Sottile was 89 years old and was born in Philadelphia, PA. Send flowers to share your condolences and honor Guy Tom's life. It was revealed on March 21st, 2019 that John C Schwartz perished in San Antonio, Texas. Schwartz was 77 years old and was born in Philadelphia, PA. Send flowers to express your sorrow and honor John C's life. It was written on March 13th, 2019 that Beatrice Chichester-Boyd perished in Florida. Chichester-Boyd was 97 years old and was born in Philadelphia, PA. Send flowers to express your sorrow and honor Beatrice's life. It was disclosed on March 13th, 2019 that Lois Bartl (Lawrence) passed away in Blacksburg, Virginia. Ms. Bartl was 81 years old and was born in Philadelphia, PA. Send flowers to share your condolences and honor Lois's life. It was reported by Orange County Register on March 12th, 2019 that Edward Francis Sr Stapleton died in California. Stapleton was 95 years old and was born in Philadelphia, PA. Send flowers to express your sorrow and honor Edward Francis Sr's life. It was revealed by Sarasota Herald-Tribune on March 8th, 2019 that Josephine Cubicciotti (Dawia) perished in North Port, Florida. Ms. Cubicciotti was 97 years old and was born in Philadelphia, PA. Send flowers to share your condolences and honor Josephine's life. It was noted on March 8th, 2019 that Elliot George Hitchins passed on in Tampa, Florida. Hitchins was 89 years old and was born in Philadelphia, PA. Send flowers to express your sympathy and honor Elliot George's life. With all of this history, wading through all of the Philadelphia funeral homes could take ages. Let iMortuary help you find funeral flowers or help you with Philadelphia funeral planning. It couldn’t be easier with our funeral home resources, finding a funeral home is just a click away. Browse our large database to find a Philadelphia funeral home that suits your needs or find cremation providers, funeral services or have a funeral arrangement sent to the funeral home of your choice. The fifth most populous city in the US, Philadelphia is Pennsylvania's largest city. City of Brotherly Love, Philly has a deep rooted history in the early days of the colonies. Philadelphia was just behind London as the second largest city of the British Empire in the 1700s. Home of the Liberty Bell and Independence Hall, the American Revolution was in some part conceived in Philadelphia. CONSHOHOCKEN, Pa. - Fran Crippen has been remembered as a swimmer whose ... The Rev. William Kelly spoke at Saturday's service in suburban Philadelphia and used the words of one of Crippen's sisters when describing the swimmer's legacy. We work with local florists and flower shops to offer same day delivery. You will find budget sympathy flowers in Philadelphia here. Our funeral flowers are cheap in price but not in value.